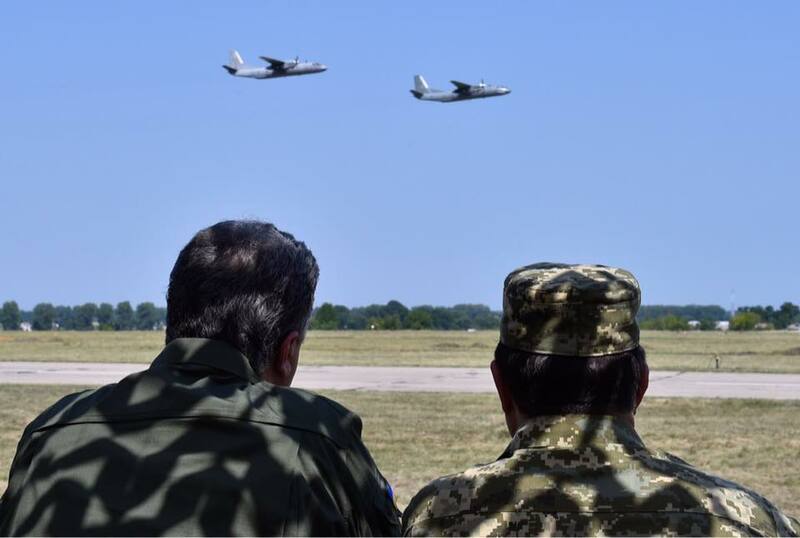 President of Ukraine Petro Poroshenko and Prime Minister of Ukraine Volodymyr Groysman have greeted military pilots on Ukrainian Air Force Day. "I congratulate military pilots on Air Force Day! I wish all of us a peaceful sky over head and unshakable faith in victory," the president wrote on Facebook on Sunday, August 6. The video attached to the greetings features the victorious performance of the military pilots of the 831st tactical aviation brigade at the Royal International Air Tattoo show in Great Britain. Read alsoPoroshenko praises Ukrainian fighter pilots’ brilliant performance at UK air showUkrainian Prime Minister Volodymyr Groysman also congratulated the Ukrainian pilots on the professional holiday. "Your skill and courage in countering the aggressor deserve the highest respect. I wish a peaceful sky. Ukraine is proud of you!" Groysman wrote on Facebook.